Virginia Tech-Duke suddenly turned into a key ACC Coastal Division game. You can tell by the ESPN-dictated starting time: 7 p.m. Saturday at Wallace Wade Stadium in Durham. Virginia Tech was a preseason Coastal favorite, along with Miami, despite the Hokies’ off-season losses on defense due to injuries, academics and transfers. Meanwhile, Duke had a few media outlets predicting the Blue Devils could challenge for the division title, but the Blue Devils were largely pegged as a middle-of-the-pack team. But a lot has changed a month into the season. 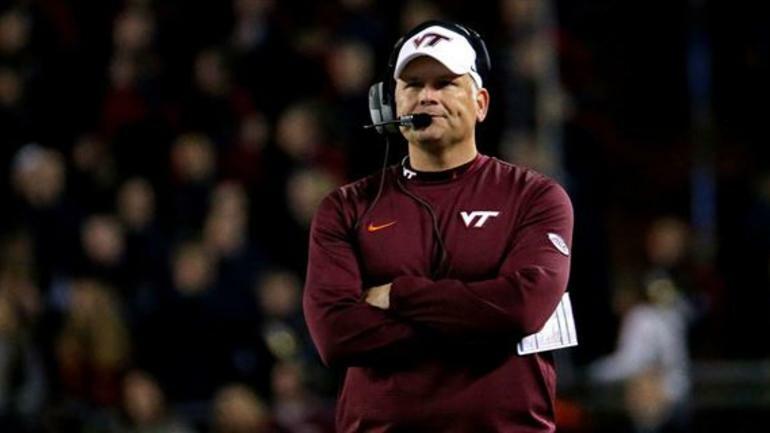 Duke (4-0, 0-0 ACC Coastal) opened as a 3-point betting favorite over the Hokies (2-1, 1-0 ACC Coastal) instead of the more commonly accepted projection of Virginia Tech as the favorite in matchups with the Blue Devils. But now Duke is riding a seven-game winning streak and ranked No. 22 in the nation by Associated Press and No. 23 by USA Today. Virginia Tech, a preseason 20/17, climbed as high as 13/10 after a 2-0 start before last week’s shocking 49-35 loss to previously winless Old Dominion (1-3). But that’s not all the Hokies are without. Virginia Tech lost starting quarterback Josh Jackson in the fourth quarter with a broken tibula. Then, upon returning home to Blacksburg, Fuente announced starting defensive end Trevon Hill had been dismissed from the team. He added on Wednesday they team is moving on without him in the future. In all, Virginia Tech has lost 11 players since last summer that figured to be involved in the two-deep on the depth chart, including a starting cornerback and a projected starting cornerback. Ryan Willis replaced Jackson in the fourth quarter and has been preparing as the team’s starter. The 6-foot-4, 235-pound redshirt junior transfer from Kansas started eight games as a true freshman in 2015 and two games in 2016 before sitting out 2017 as a transfer. Against Old Dominion, he was 9-of-18 passing for 131 yards and one touchdown without an interception. He ran four times for 30 yards. Duke is starting backup quarterback Quentin Harris for the third straight game since third-year starter Daniel Jones suffered a broken his left (non-throwing side) clavicle at Baylor. His progress is ahead of schedule and has taken snaps in practice. Duke coach David Cutcliffe said on Wednesday there is a possibility he could play if cleared by doctors, but Harris is the listed starter. Despite Duke's own losses that included cornerback Mark Gilbert, an All-American candidate,the Blue Devils suddenly are favored to beat a key Coastal power. Cutcliffe has been telling his players not to consider Virginia Tech's head-scratching loss to ODU. Cutcliffe may not like hearing this, but the point spread has risen to Duke as a 4.5-point favorite. Times have changed in a couple of months.